Branded Tote Bags is yet another remarkable example of a great advertising product. It can be of vast variety and different materials to suit the needs of the customers. These bags offer a sufficient advertising space to print a logo on and might serve as a perfect summer or fall season gift with the purchase. When summer is almost over and summer sales reached its peak, what can be better to stimulate people to shop than a free giveaway? Why are Tote Bags a Great Advertising Product? Branded Tote Bags are beneficial for both customers as they are able to use them daily and for brands. As they can promote their new products or build brand awareness. Depending on the material branded tote bags are made of, it might carry different advertising message. For instance, Woven Tote Bags can help to promote the brand as an eco-friendly and create positive attitude toward the brand. It is especially important now, when being ‘green’ is trendy and is highly praised by society. 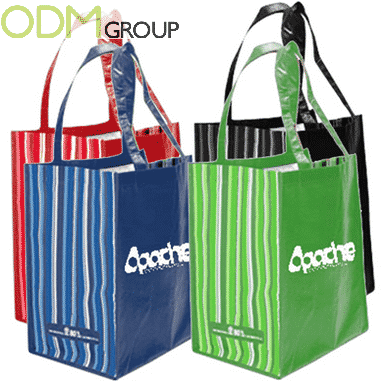 Plastic Tote Bags can be promoted as practical and long-lasting items and it would be especially beneficial, if it goes hand-in-hand with the image of the company. Thus following the consistency of the message. Appealing design, bright color or a ‘catchy’ message on the Branded Tote Bags are also of high importance as they can influence the perception of the customers and the way they evaluate the product. 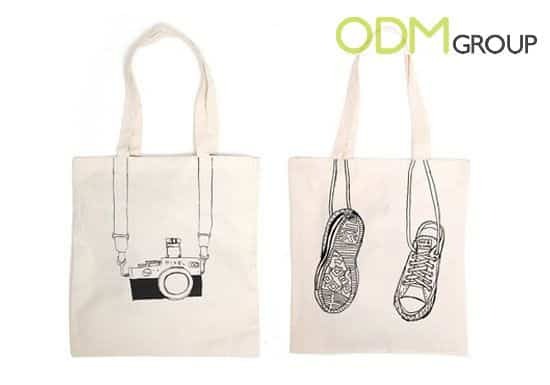 To sum up, Branded Tote Bags are great as an advertising product as they can be used effectively for promotion purposes, rise brand awareness and positive brand attitude, All this benefits at the fraction of the cost. Why not to take advantage of this and customize your own Tote Bag? If you want to know how, ask us!